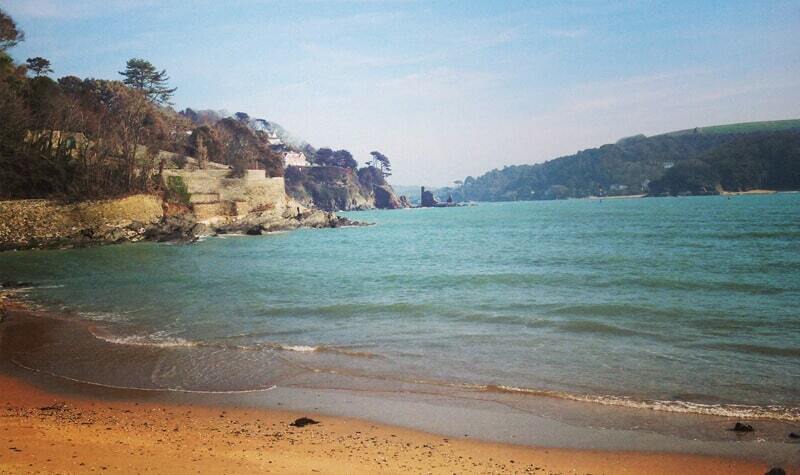 Visit a Salcombe Beach – But Which One, Where and How? Salcombe enjoys some of the sunniest weather in the UK and is perfect for beaching and boating being surrounded by arguably the most magical coastline in England with miles of sheltered water and soft golden sandy beaches. From the buzzing Smalls Cove with sailing dinghy’s, picnics and volleyball to the more secluded beaches around Sunny Cove, there is endless scope for rock pooling, exploring and relaxing. Combined with luxury accommodation, you might have found your perfect holiday destination! 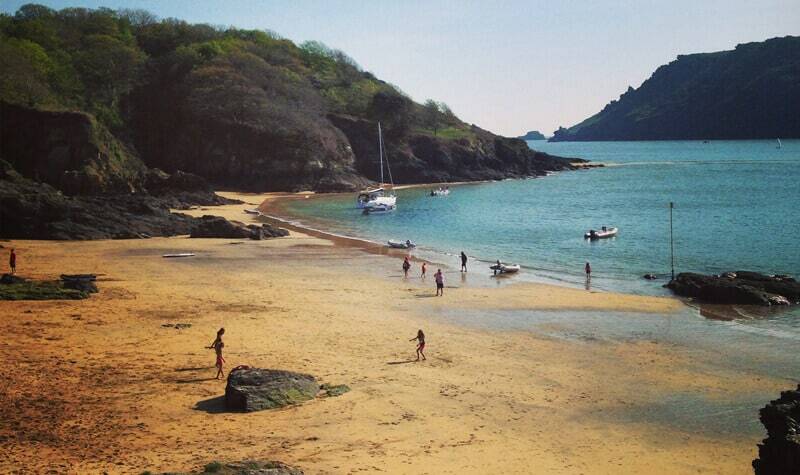 But if you are new to Salcombe, which beach is right for you and how do you get there? P.S. Don’t forget to pack your picnic! A popular sandy beach with picnic tables behind the beach. 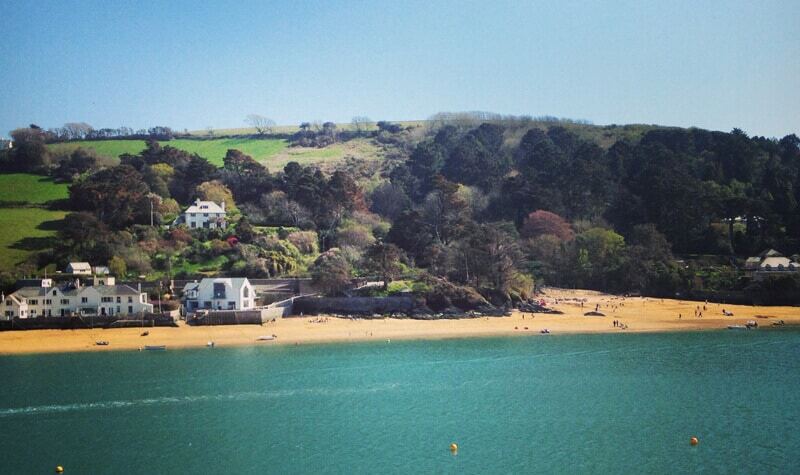 You will also find the ever popular Winking Prawn cafe and restaurant – a Salcombe institution! Good for: Families wanting to enjoy food and drinks from the Winking Prawn; doesn’t require you to catch a ferry; easily accessible beach. 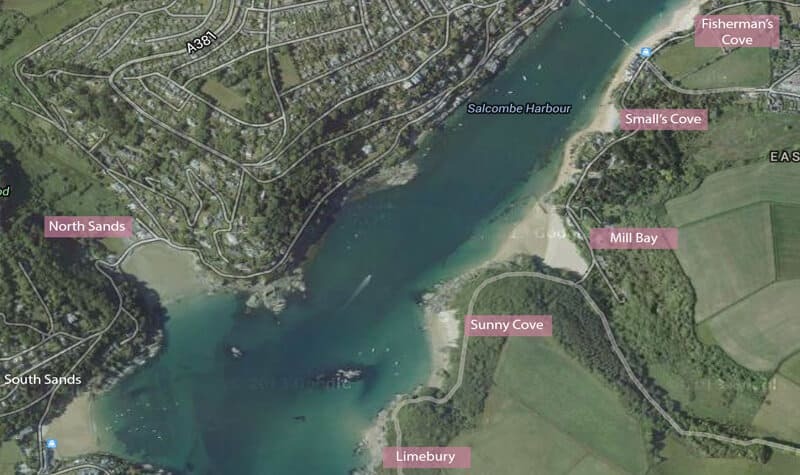 Accessible by car (TQ8 8LD) or walking from Salcombe town (15 minute walk along the coast; simply keep the sea to your left when walking out of town). Dogs allowed all year round. A popular flat sandy beach with two hotels, a beach cafe and water-sports centre. Good for: Using as a base for trying water sports; enjoying the facilities of the South Sands Hotel; experiencing the brilliant South Sands Ferry. Accessible by ferry, car (with limited parking, TQ8 8LL) or walking from Salcombe town (25-30 minutes). A picturesque ferry operates between Salcombe and South Sands, with a Sea Tractor ferrying passengers between the boat and the South Sands beach. Look for the blue, red and yellow ferry! (Click for more Salcombe ferry information). Dogs not allowed between 1st May and 30th September. 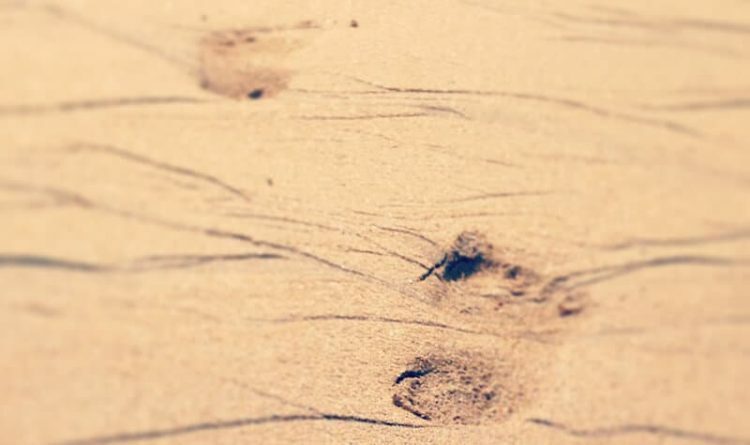 Soft, yellow, sandy beaches can be accessed by crossing the estuary. Turn left off the ferry to be on Fisherman’s Cove. Turn right to be on Smalls (with sailing dinghies nestled at the back) and carry on further along to reach the large expanse of Mill Bay which is accessible at low tide. Good for: Families taking children to play in the sand and sea; sunshine until late in the day; perfect picnic spots; long sandy stretches of coastline and rock-pooling. Accessible by passenger ferry – jump onto the Salcombe to East Portlemouth passenger ferry (click for more Salcombe ferry information). There is a cafe and toilets above the ferry steps. There are public toilets at the back of Mill Bay. Dogs allowed all year. 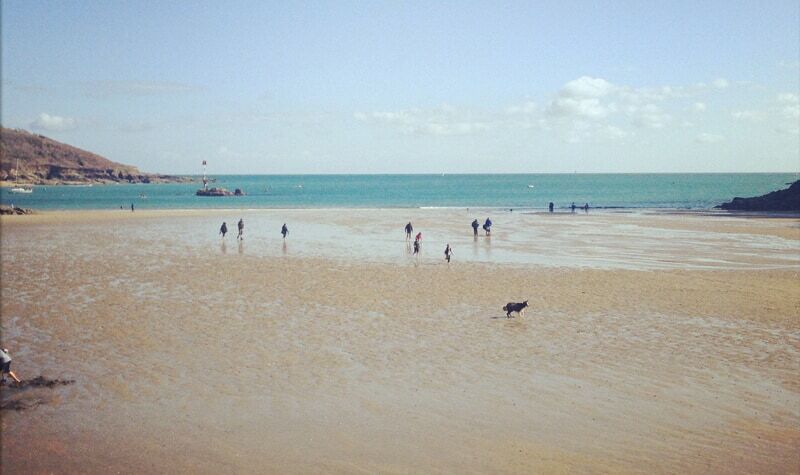 Some of our self-catered accommodation has wonderful views over these beaches! Sunny Cove is a soft yellow sandy beach with beautiful views of the harbour. Being a little harder to access than other beaches, Sunny is often quieter than beaches closer to the ferry terminal. Good for: Being away from some of the busier beaches; views across the estuary and out to sea. Accessible by passenger ferry plus a walk. Or by hiring/using your own boat. Jump onto the Salcombe to East Portlemouth passenger ferry (click for more Salcombe ferry information) and then walk along the coastal path (around 15 minutes walk). Alternatively, hire or use your own boat to access this beach. NB – this beach sometimes has large waves so take care landing your boat! Closest toilets are at Mill Bay. Dogs allowed all year. Limebury and the Hipple have lots of rock pools to explore which are really popular with children. The number one feature is the spit of sand revealed during very low tides. Waves come in creating a fantastic playground for boogie boarding and wave jumping. Good for: Inquisitive kids; building dams on the beach; getting active jumping over waves on the spit! Accessible by: hiring or using your own boat. Closest toilets at Mill Bay.